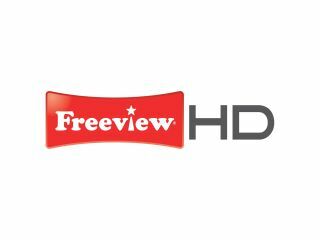 The BBC's Freeview HD plans have been dealt a blow after the broadcaster's proposed use of DRM on the platform was blocked by Ofcom. The introduction of DRM on to the Freeview HD service – which is due to launch in the UK this December – was meant as an anti-piracy measure, with the BBC worried that once the free-to air platform launched it would mean that unauthorised redistribution of its hi-def content would become a problem. The BBC had planned to let users freely record hi-def programmes in SD format, with restrictions put in place for when HD recordings were made. Although the BBC insisted that the proposed DRM would be "invisible" to the end user it did raise questions. Out of the 200 submissions that Ofcom received about the proposal, the most outspoken was, unsurprisingly, the Open Rights Group who believed the BBC was trying to "enact a form of encryption through the backdoor." Ofcom deliberated on the need for DRM and decided to quash the BBC's plans, explaining in a statement about the decision: "Ofcom received a large number of responses to this consultation, in particular from consumers and consumer groups, who raised a number of potentially significant consumer 'fair use' and competition issues that were not addressed in our original consultation." Alex Lane, the Editor of What Satellite and Digital TV, told TechRadar about Ofcom's move: "It's good to see Ofcom listening to a consumer-lead campaign, and maybe we can now have a mature debate about DRM." But Lane did have his reservations, noting: "I just hope it doesn't backfire and cause problems for Freeview HD supplying the best content." Although the BBC hasn't exactly said much about the decision Ofcom has come to, the broadcaster did tell TechRadar that "it remains committed to the launch of HD on Freeview as it will deliver choice in terms of platform and availability of HD content for audiences across the UK." Hopefully this means that it will not be stifling its content on the HD platform, when it comes to the launch of Freeviw HD, as an 'anti-piracy' measure.